This weekend I had the pleasure of attending the 2016 GLAAD Tidings event, hosted in the beautiful city of Beverly Hills, California. 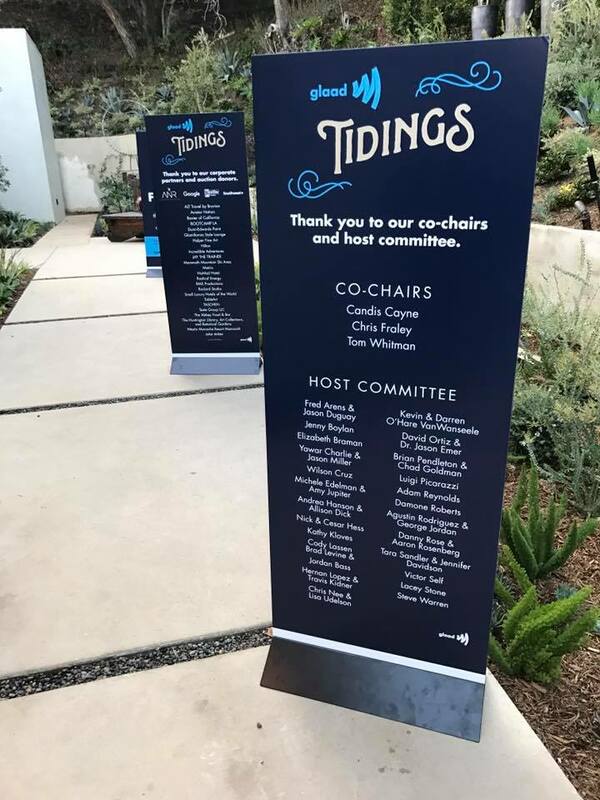 The event, which was an amazing reminder of how much work we truly have to do both inside and outside of the community, celebrated those who have given to various GLAAD campaigns and those who want to begin showing greater support for the organization now that we have the grinch in office. I had the wonderful opportunity to talk to both Actress Candis Cayne and Seth Adam, VP of Communications, about the event and all of the great things they are doing to further fight for equality in the LGBTQ community. Both figures stated that now is the time for everyone in the community to become involved in this fight because honestly, we can't win it if we don't work together. The goal for the evening was to raise $175K to help fight back against many of the horrid things that Trump has proposed and by the time I departed, the organization had met its goal. It was great to see so many people dedicated to helping LGBTQ people and LGBTQ rights and it was ever greater to know that I was there representing both the community and other LGBTQ people of color who fight in the struggle. Again, I want to thank GLAAD for the amazing night and for all they continue to do to support the movement. To find out more about how you can support GLAAD, visit www.glaad.org/support.